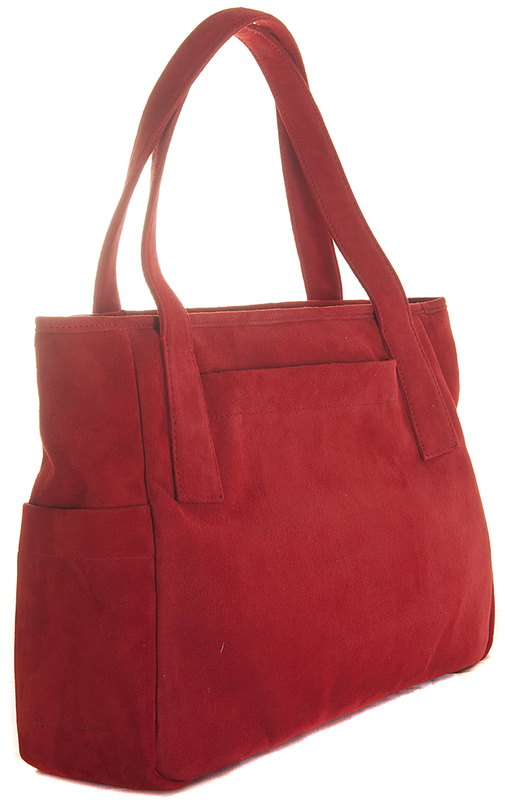 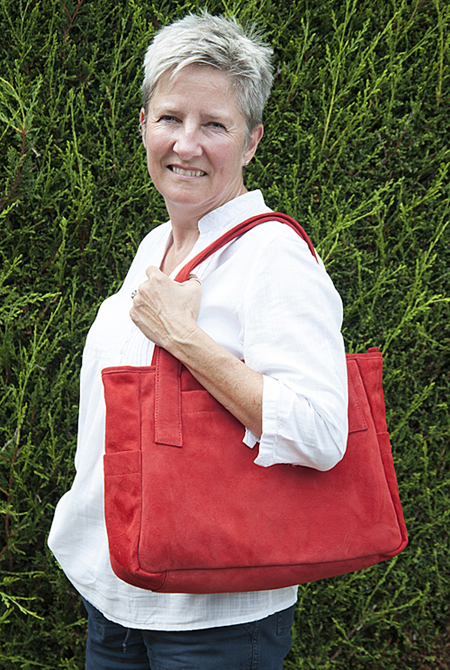 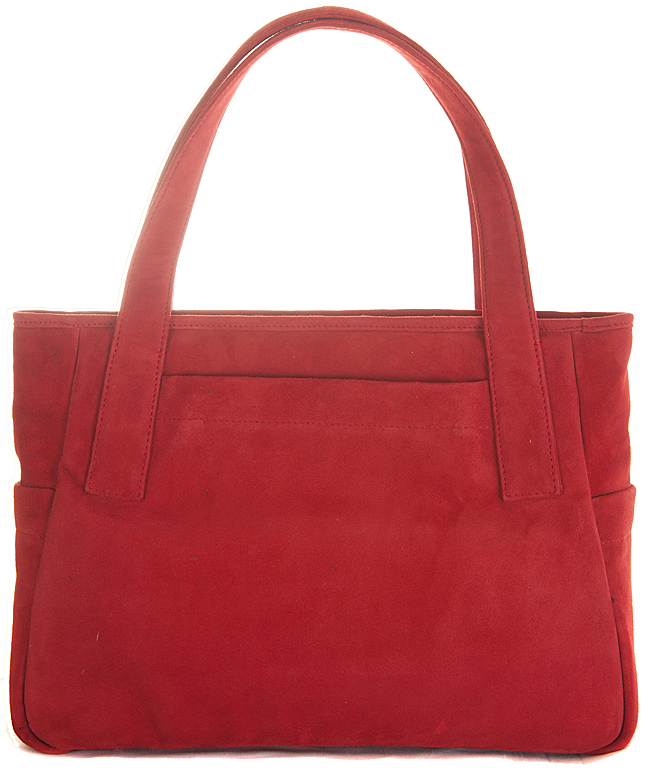 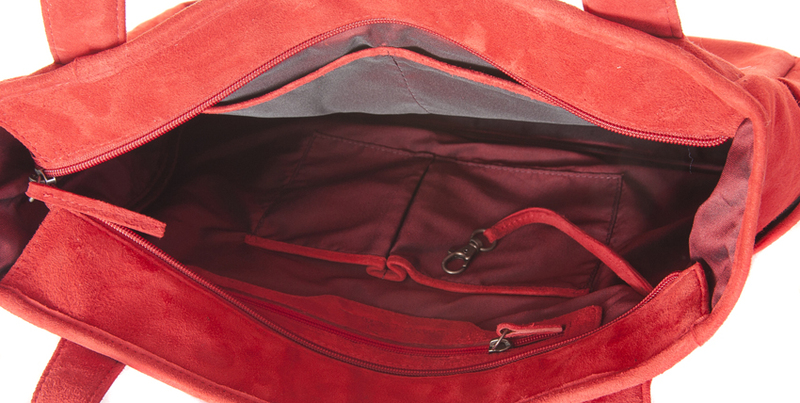 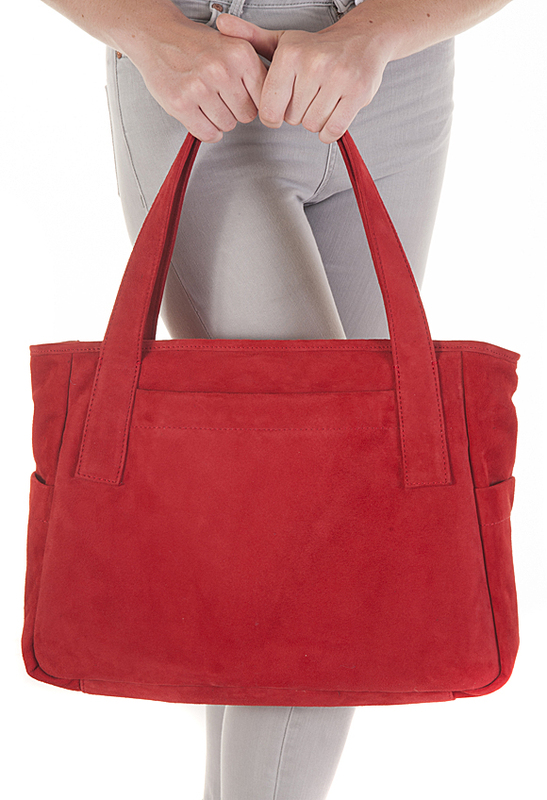 The Queen B bag in red, a fabulous large handbag or super stylish business bag. 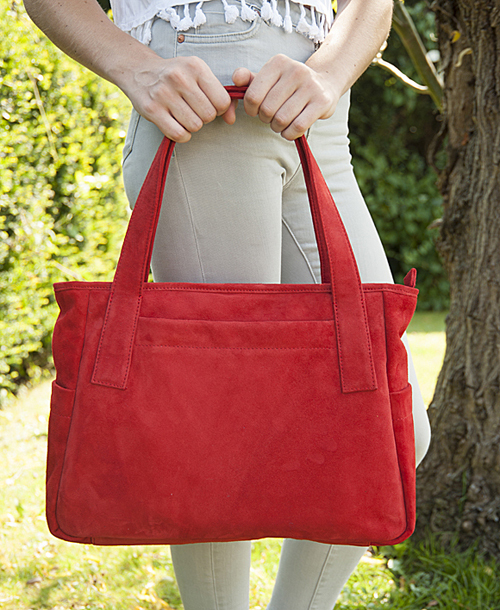 Each Queen B bag is carefully hand made by our skilled workshop ladies. Queen B also comes in Fuchsia and Deep Purple.